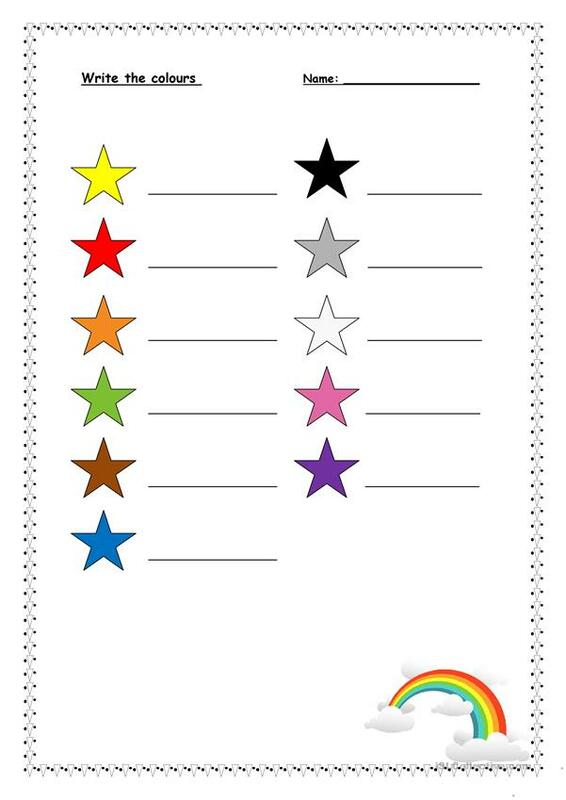 A very simple worksheet where pupils should write the colours when they learn them (You can write the first letter if you prefer). You can spell the colours and practise the alphabet with your students or they can spell the words to correct the exercise. The present printable, downloadable handout is meant for elementary school students and kindergartners and nursery school students at Beginner (pre-A1) and Elementary (A1) level. It can be used for developing your class' Spelling and Writing skills.